​Anna Stark is a professional Psychic/Medium and Energy Specialist. She began her love for reading tarot at age 15, and would sense spirit constantly throughout her readings. 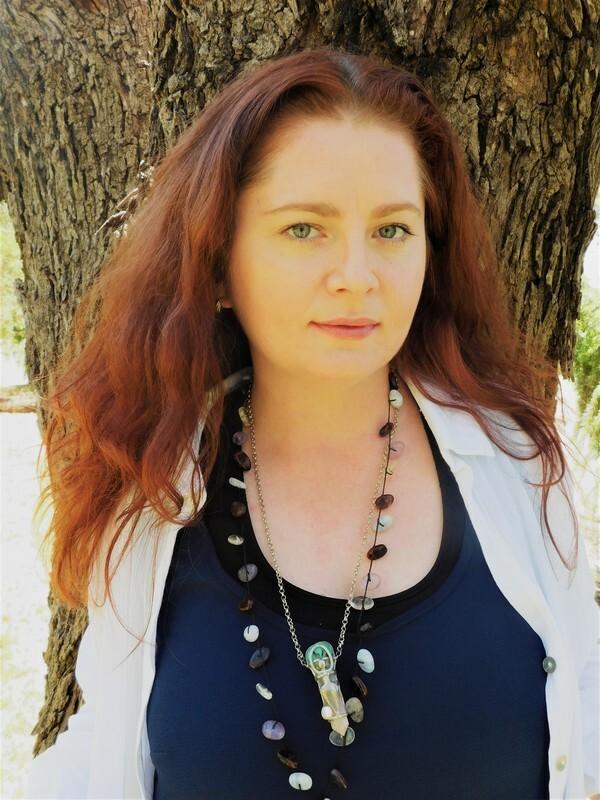 Growing up in country New South Wales, Australia, Anna would often receive psychic messages about people, events and places during her childhood. In a search to understand her own unique abilities, she found a love for all things paranormal, developing a love for history and sociological understanding. In an effort to heal her own stress, panic attacks and anxiety in her early 20’s, Anna began to explore natural methods of healing. Anna was able to heal her own physical and emotional issues and soon it became a passion, later becoming a Reiki Master and Teacher in the healing modalities of Usui, Seichem and Angelic Reiki®, later becoming a Kinesiologist. Loved by clients and students, her realistic, down to earth nature provides compassion, understanding and personal mentoring. Sharing German and Celtic Ancestry, Anna is a constant channel, passing on messages from the divine to those seeking guidance in many areas of their life. Whether it be messages from a loved one or from Archangels and Ascended beings you can be sure a reading will leave you feeling lighter, relaxed and inspired. Among Anna's clients and student's are doctors, teachers, social workers, health providers, legal practitioners, bankers, counsellors, therapists, philanthropists, and spirit seekers. Anna’s soul purpose is to empower and inspire others so they can realise their unlimited potential. It is her primary mission to motivate others into higher states of consciousness through self-development, knowledge and spiritual understanding. Anna has received many initiations and attunements in Reiki, Light Ascension, Shamanic, Elemental Earth Energy, and other Light Energy medicine through her own spiritual and healing journey and his happy to pass on these teachings to students using divine alchemy and developed practice. Anna’s life mission is to educate and awaken others, creating awareness about our minds healing potential, intuition, energy and our conscious being. Anna presents seminars, workshops and courses in Australia for those seeking transformation in their health and wellbeing, spiritual development, consciousness, channelling and self-mastery.